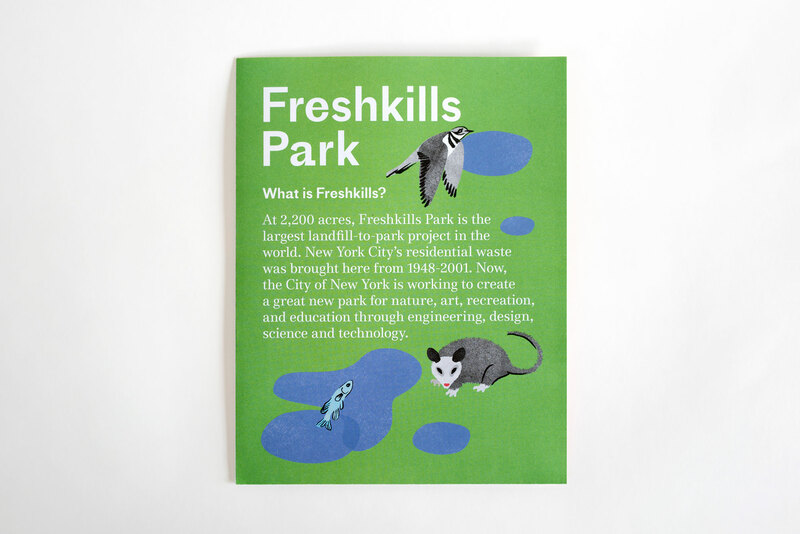 As an educational resource, the What is Freshkills? 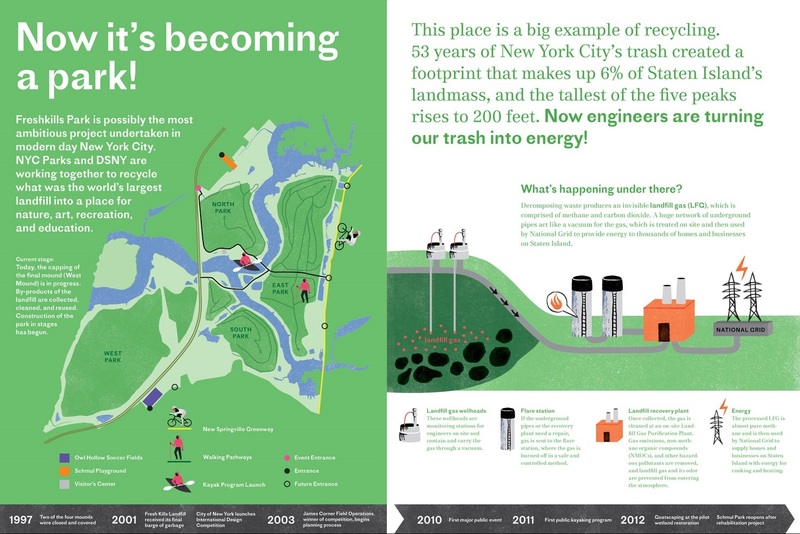 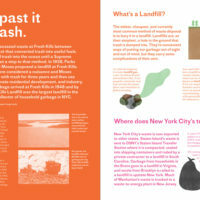 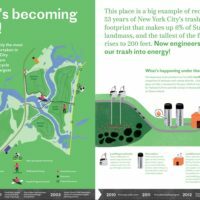 poster pamphlet aims to increase awareness of the Freshkills Park project in classrooms, families, volunteers, and park collaborators. 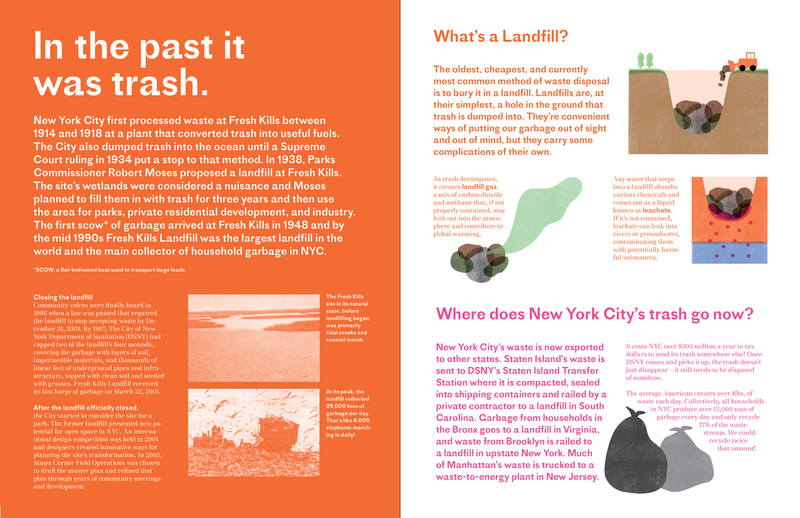 Through bright illustrations and typography, the pamphlet provides an overview of some of the many topics surrounding the park, including landfill engineering, waste management, wildlife, native plants, and grassland and wetland ecosystems, and folds out to a 22”x32” poster to express the future park.